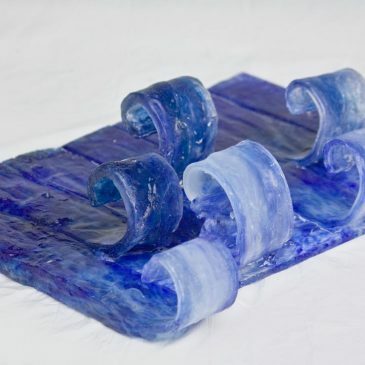 The Viewers’ Choice Award for the “In My World” show (August 7 – 26, 2018) went to Eiko Emori‘s glass work “The Surf”. Congratulations, Eiko! 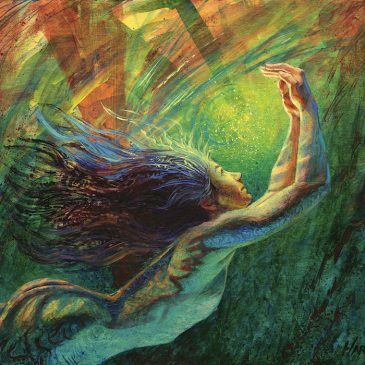 The Viewers’ Choice Award for June Harman’s solo show “Visible Music” (June 5 – 24, 2018) went to her painting “Ondine”. Congratulations, June! 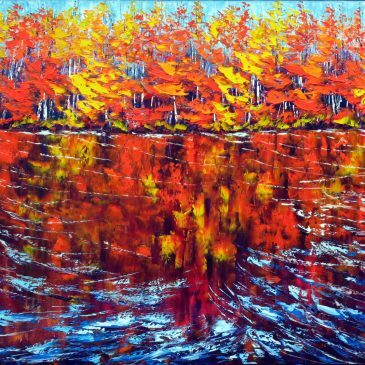 The Viewers’ Choice Award for the “Lush” group show (May 15 – June 3, 2018) went to “Sapphire Reflection, Ottawa River” by Margaret Chwialkowska. Congratulations, Margaret! 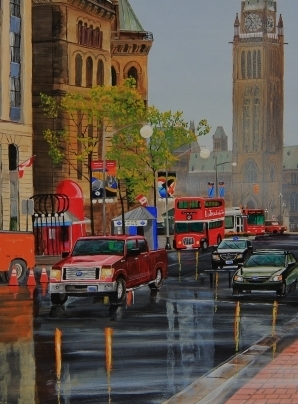 The Viewers’ Choice Award for the “Attraction” group focus show (April 24 – May 13, 2018) went to Terry Cowan‘s painting “Capital Rain”. Congratulations, Terry! 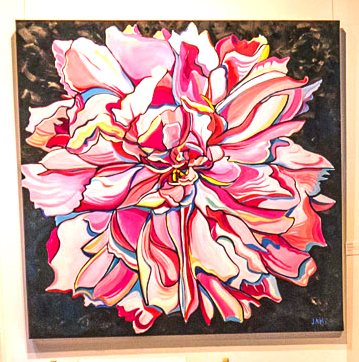 The Viewers’ Choice Award for the “Aligned” group show (April 3 – 22, 2018) went to Jess Fleury for her painting “My Little Peony”. Congratulations, Jess! 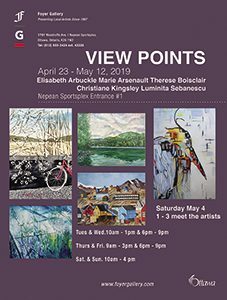 The Viewers’ Choice Award for the “Anticipation” focus show (March 13 – 31, 2018) went in a tie to two artists: Marie Arsenault, for her painting “Large Poppies” and Christiane Kingsley, for her painting “Windmills of my Mind“. Congratulations to both artists! 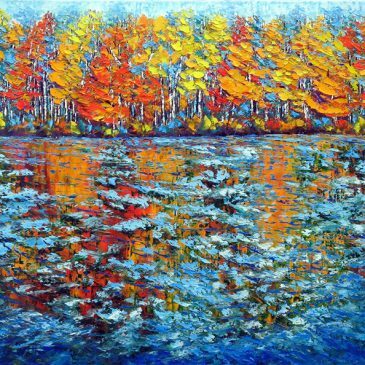 The Viewers’ Choice Award for the “Captivation” group show (February 20 – March 11, 2018) went to Margaret Chwialkowska for her painting “Persimmon Reflections, Ottawa River”. Congratulations, Margaret! The Viewers’ Choice Award for the “Into the Light” group focus show (January 30 – February 18, 2018) goes to Lauren Henry, who has won Viewers’ Choice for the third time in a row! Her winning painting is “Birch Stand At Dusk”, shown below. Congratulations, Lauren! 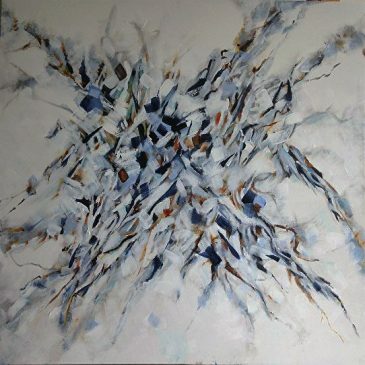 The Viewers’ Choice Award for the “Northern Exposure” group show (January 9 – 28, 2018) goes to “All Gone” by Lauren Henry. Congratulations, Lauren!